Australia’s wine producers stand to make significant inroads into the Chinese market from a deal with Alibaba. Wine Australia and Chinese multinational e-commerce conglomerate Alibaba have signed a Memorandum of Understanding (MoU) to better showcase Australian wine on the world’s fastest growing e-commerce platform, Tmall. This is possibly the first industry wide food promotional platform being offered for Australian suppliers across a category range, with a major online global marketplace. The MoU complements Wine Australia’s investment in China’s e-commerce sector as part of the Australian Government’s $50 million Export and Regional Wine Support Package (the $50m Package). It will be interesting to see whether other Australian industry organisations consider a similar approach to marketing the Australian brand across the product category. 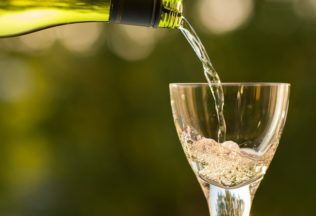 Assistant Minister for Agriculture and Water Resources, Senator Anne Ruston, said this strategic partnership is an important and significant development for the Australian wine sector. ‘With the changing face of online retail in China, it’s critical for our wineries to significantly improve their online presence, and to do so in the right way’, she said. Wine Australia Chief Executive Andreas Clark said the signing of this MoU recognised the strong engagement of Chinese consumers in online retail and their growing interest in Australian wine. “By partnering with Tmall, we can collaborate on many aspects and activities that further promote genuine Australian wine and do so in a way that supports the integrity of the brands,” he said. ‘It’s also an opportunity to educate Alibaba staff about the quality and diversity of Australia’s premium wines through education and awareness development’, he added. It is predicted that over 50% of China’s consumption will be conducted online within 10 years. As the domestic wine sector in China is yet to reach maturity and Australian wines are considered world-class and come at varied price points, the opportunity to sell to China’s burgeoning middle class is significant. Alibaba Group’s Founder and Chairman, Jack Ma, announced he expects ‘triple-digit growth’ in its wine business in the next three years. China is now the biggest market for red wine in the world. The MoU signing took place at the 2018 Vinexpo Hong Kong, where Australia is celebrating its ‘Country of Honour’ role with 151 exhibitors showcasing 225 wine brands from more than 51 regions. Australia’s Country of Honour role is one of the major activities supported by the AUD $50m Package that aims to further drive demand for Australian wine and to build premium cues and consumer engagement.